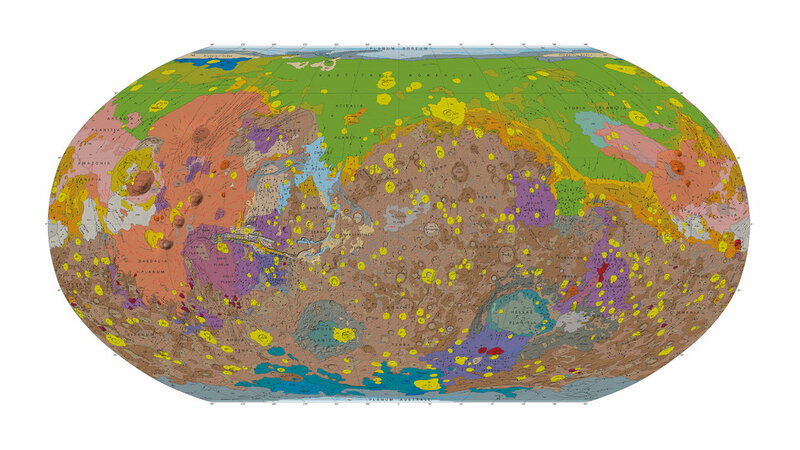 Mars, the alluring tempter of a planet, now exists in map form, easily accessible at the touch of a computer key. That’s it, just above the copy of this blog post. As you can see, there’s peaks and valleys, plus polar ice caps. From the shape of things, one can imagine where water might have flowed and accumulated. The last map was created in 1987, when technology and resources were scant and crude, compared to today’s standards. Previous maps consisted of data taken from Viking probes and other sources. What made this latest incarnation possible is the use of the Mars Global Surveyor and the laser altimeter, which bounces up to 600 laser beams to the surface. Such details, as ages of rocks, were gathered from these sources. On the United States Geological Survey pages, you can find more details of the map and how it was produced. « Be a Star Wars Star!